We try to find an alternative that can people help to move across the roads like this. There were already mentioned “A Luxury Tank“, “Russian Hummer Clone” and some low budget versions of Russian way to move across. Now it’s turn for Ukrainian thing to be shown. Ukraine was a part of USSR for 70 years, and still many people consider it to be Russian by its nature. 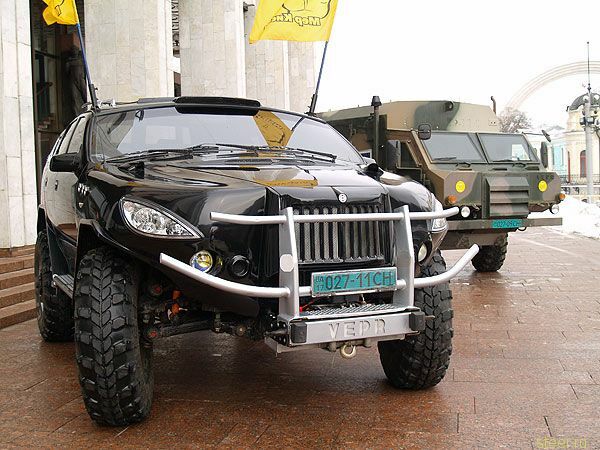 So they also want to help Russia to solve its old road problem, so they presented a “VEPR” vehicle. This one also looks tough, and maybe reminds of Infitiy FX somehow. It has been said that it’s able to carry up to 21 persons on-board. I wonder where is the place for all of them. 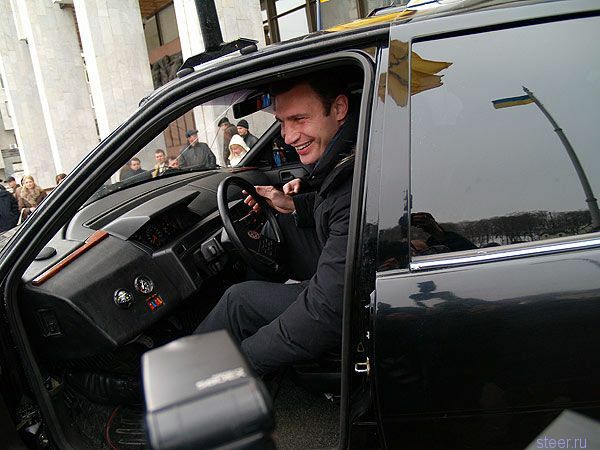 This is famous boxer Klichko testing new car. Man o man, I got to have me one of these trucks. I can drive to Georgia and help them run the Russians out of their state. LMAO, Got to love them..
“Vepr” isn’t russian car. It’s ukrainian. Photos made in Kiev. You all seem to miss the point. The truck is not supposed to be pretty and no one cares if it has a nice interior or not. 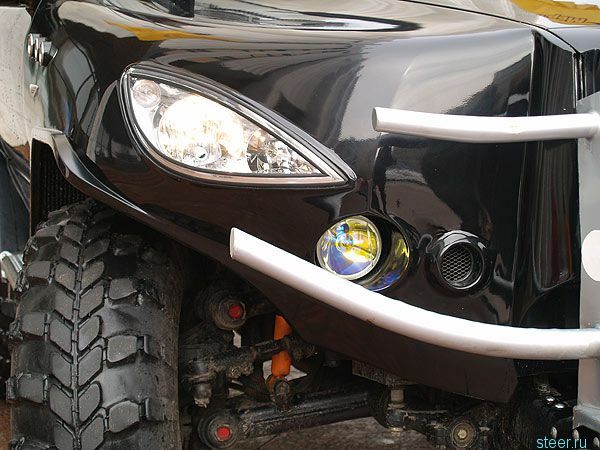 This is a utility vehicle and it does not pretend to be anything else. the first thing I saw was that massive front end, those military tires and that beefy suspension. I would love to take this thing to Moab and hang out with everyone else who cares more about function than form. I think you are a victim of american propaganda. Most of the ‘free’ american media are free only in discussing american point of view in different variations. These words “I can drive to Georgia and help them run the Russians out of their state” clearly show that. I didn’t even want to reply to this words because they don’t make any sense. It is the same thing as trying to reply on something like that: “I want to run all English speaking occupants out of Indian land”. Russians were there more than 200 years. Georgian King asked consistently (even begged!!) Russians to save Georgia from coming Turkish massacre. Russia agreed to save Georgia from 100% slaughter by Turkish Muslim occupants-fanatics who by that time slaughtered already hundreds of thousands Armenians, Greeks and some Georgian states, which that time were not united yet. They come to kill. Osman killers did not leave behind anyone alive. Russian were INVITED with tears to SAVE GEORGIA 200 years ago. Now, 200 years later they hate Russians. In this case I can only ask: who are those Georgians? What kind of nation it is? Also I want to ask arrogant Americans some questions: who called your ancestors to occupy Indian land and who begged them to kill millions of Indians? Can you answer? Base of this car is GAZ. Serg, he is probably going to go to Atlanta to kick out those bad Russians out of American State Georgia… Darn Russians! Occupied US territory! Paradox: both Georgias are american territory… Funny, isn’t it? 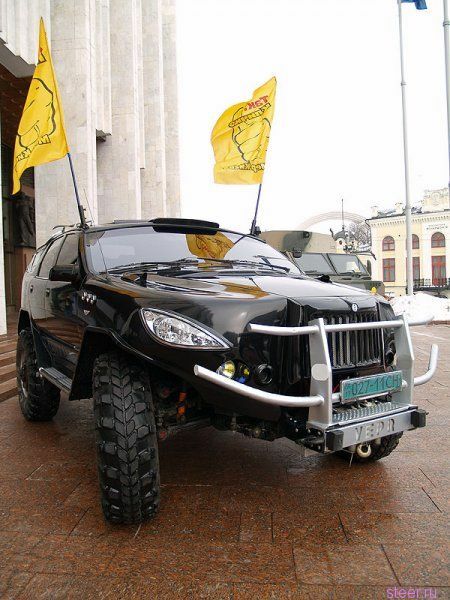 First of all this is UKRAINIAN 4×4 and not russian AT ALL! Domestos thanks. Utility is the firts thing in this car -AGREED, but a bit extra attention could be paid to design. (especialy to back doors and dash-board). But good start Ukrainians, PLEASE CARRY ON MAN. I dont like this monster. >Now it’s turn for Ukrainian thing to be shown. Ukraine was >a part of USSR for 70 years, and still many people >consider it to be Russian by its nature. Ukraine is not only a part of USSR for 70 years! Ukraine is a part of Russian Empire scince 1654. Ukrainians are same as Russians with slightly difference. Exactly. It was way before the state of Russia existed. That was about Kyiv Russ and not Russian Empire. You shouldn’t think of it as an SUV. It’s not. It’s HUGE tough… more like the military Hummer. Looks interesting, but ultimately I wouldn’t drive it if you paid me.